The isolator is one type of switching device, and the main function of this is to make sure that a circuit is totally not triggered in order to perform the preservation. These are also recognizable like isolation switches to isolate the circuits. These switches are applicable in industrial, distribution of electrical power, etc. High voltage type isolation switches are utilized in substations for permitting isolation of equipment like transformers, circuit breakers. Usually, the disconnector switch is not proposed for circuit control but it is for isolation. Isolators are activated either automatically or manually. This article discusses an overview of electrical isolator, types and its applications. The isolator can be defined as; it is one type of mechanical switch used to isolate a fraction of the electrical circuit when it is required. Isolator switches are used for opening an electrical circuit in the no-load condition. It is not proposed to be opened while current flows through the line. Generally, these are employed on circuit breaker both the ends thus the circuit breaker repair can be done easily without any risk. The electrical isolators are classified based on the requirement of the system which includes the following. This type of isolator consists of three loads of post insulators. The middle insulator holds a flat male or tubular contact that can be turned straightly by a spin of middle post insulator. The rotation of the middle post insulator can be done by a lever method at the bottom of the post insulator, as well as it is related to manual operation (operating handle) or motorized operation motor (using motor) of the isolator via a mechanical knot rod. In this type of isolator, the arm contact is separated into two elements. The first arm contact holds male contact, as well as second arm contact, holds female contact. The arm contact shifts because of the post insulator rotation upon which the arm contacts are fixed. The post insulators rotation stacks in reverse to each other which makes to shut the isolator by shutting the arm contact. Post insulators counter rotation stacks to open the arm contact, as well as an isolator, rotate into an off condition. Generally, the motor operated isolator is used however an emergency manual operated isolator is also offered. The pantograph type isolator permits current switchgear installation, and it requires the least space. This type of insulator includes a post insulator as well as an operating insulator. According to the power system location, the isolator can be classified into three types namely bus side, line side and transfer bus side isolator. Bus Side Isolator is a type of Isolator that connects by the major bus. Line Side Isolator stay connected by a feeder in line side. Transfer Bus Side Isolator stay connected by the major bus of a transformer. The operation of electrical isolator can be done by the following two operational methods namely opening and closing. In the beginning, open the major circuit breaker. Close the earth switch. Earth switch can become with an interlock system with isolator. That’s means when isolator is open only that time earth switch can be closed. The main difference among the isolator as well as the circuit breaker is that the isolator detaches the circuit at the OFF-load situation while the circuit breaker detaches the circuit at the ON-load situation. But these two have a similar principle like disconnection for isolating the parts of electrical circuit form the system. This cannot function in an on-load situation where there is any fault occurs in the system then the circuit breaker will trip routinely. The main differences between these two are discussed below. 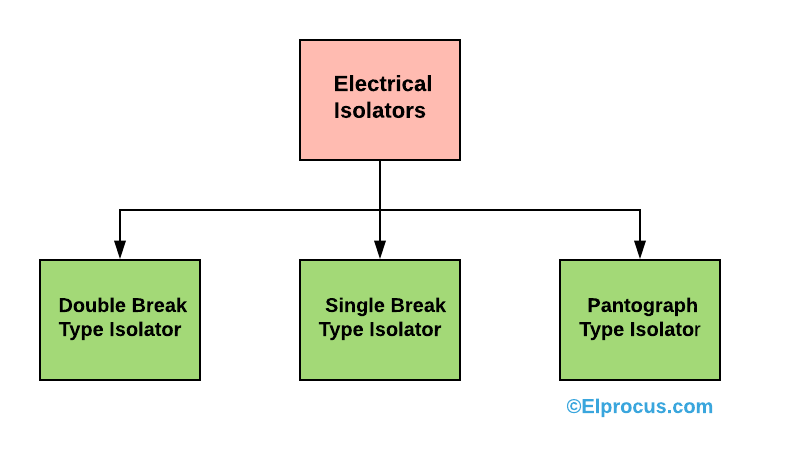 An isolator is an off-load apparatus whereas circuit breaker is an ON-load apparatus. The operation of the isolator is manual whereas the operation of the circuit breaker is automatic. The isolator is one type of mechanical apparatus which works like a switch whereas circuit breaker is an electronic apparatus made with BJT or MOSFET. When a fault occurs in a substation, then isolator cuts out a portion of a substation. The other apparatus works without any intrusion. Isolators have the small withstand capacity when contrasted to Circuit Breaker. Circuit breakers have the high withstand capacity at the condition of ON-load. An insulator is one type of detaching switch which works under the condition of off-loading. It separates the circuit part in which the error takes place from the power supply. Isolators are applicable for high voltage devices like transformers. The main function of Isolator is, it blocks the DC signals & allows the AC signals to flow. Circuit Breaker is one kind of protection device which works like a switch. When the fault happens in the system, it opens as well as closes the circuit contact. It separates the circuit automatically when a short circuit or overload takes place. The applications of isolator include the following. The applications of Isolators involve in high voltage devices such as transformers. These are protected with a locking system on the external or with a lock to stop accidental usage. 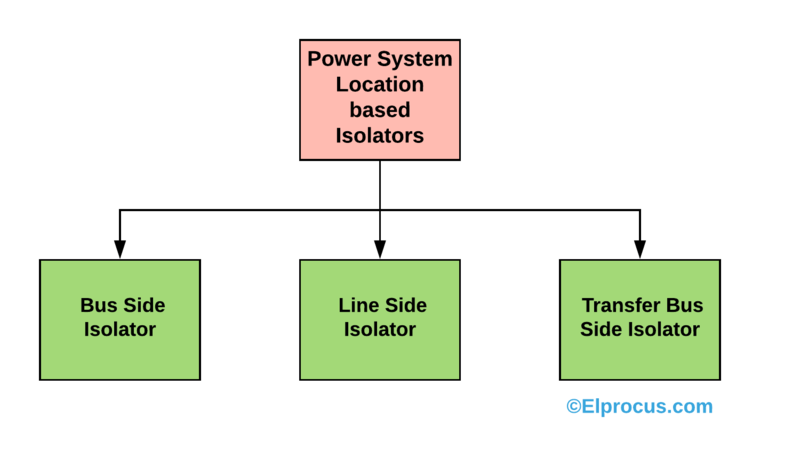 Isolator in Substation: When a fault occurs in a substation, then isolator cuts out a portion of a substation. Thus, this is all about an overview of the electrical isolator. The characteristics of this isolator include it is an offload device, operated manually, De-energize the circuit, entire isolation for secure maintenance, includes a padlock, etc. Here is a question for you what is an isolator in the microwave?